Well, well, well ... it seems I have Final Fantasy on the brain today. Please accept my apologies if you're not a fan. 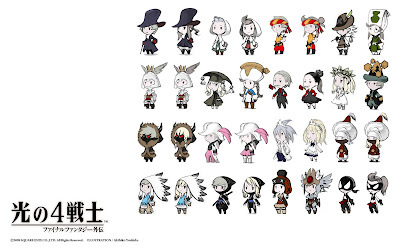 Anyway, I came across the following image (download it here) yesterday while scanning a NeoGAF thread devoted to Square Enix's Hikari no 4 Senshi: Final Fantasy Gaiden (aka Final Fantasy Gaiden: 4 Warriors of Light, aka The 4 Heroes of Light). 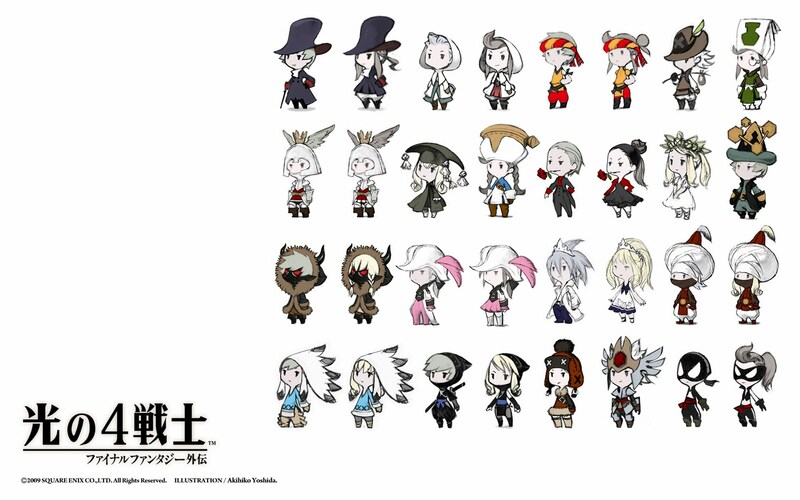 Aren't Akihiko Yoshida's character designs just about the cutest things you've ever seen? I'd love to know what classes some of those images represent. How cute!